Home / Posts tagged "@hustontax"
Die without a will and you leave a mess. David Bowie left a will. Because of this, and his years of tax planning, his multi-million pound estate is reckoned to face very little Inheritance Tax. After over 20 years of practice, and some personal as well as professional experience, my article today is to highlight why you must make a will – and make the appointment this month. 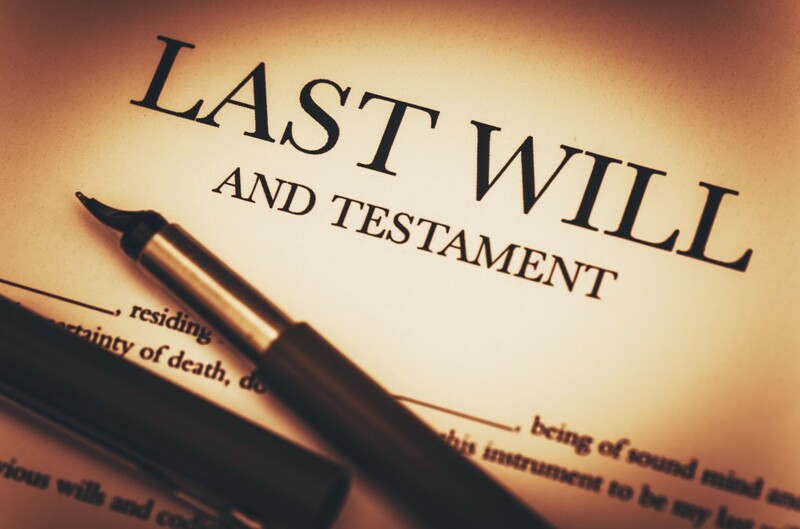 When we hear that an appalling 54% of us die without having made a will (intestate) it shows that people do not realise just how important this simple matter is. Make a will, and use a solicitor. It’s not costly. Do you want the government rules to dictate who gets your money and property when you die? This is what happens if you die intestate. Then the government rules set down who gets what. It might not be how you want it. Do you want to hand that much power to the government? Don’t assume you can relax because ‘sure everything will go to my spouse.’ Firstly this may not be correct. It depends on where in the UK you live and how much you were worth. Secondly – and this is important – you don’t know that you will die first. Whoever is left on their own – if they die without a will then the intestacy rules will be very important. Based on the above point it is vital that both parties to a marriage or civil partnership set out their wishes on death. And of course is you are not in either of these, the ‘other half’ will get nothing on your death if you die intestate. Making a will is easy. I made my first one in my early twenties. By making one you achieve two things. Firstly you have set out who should get what. Secondly if your circumstances, or opinions, change, you have a clear incentive to get down to the solicitor and change your wishes. A simple will should cost no more than a couple of hundred pounds. Don’t use a will kit you download or buy in a shop. It is true that you could use one and it may end up being a valid will. However a lot of these are faulty in some way, and this is usually discovered when it is too late – you are dead! Then the cost of sorting things out will be far greater than a few quid given to your local solicitor to make a proper will. A witness to your signature cannot benefit from the estate. That would make the will invalid. However the executor (the person you ask to handle tidying up your estate) CAN benefit. Intestacy – who inherits what is set out in a handy ready reckoner at http://www.gov.uk/inherits-someone-dies-without-will Note the rules are different according to which part of the UK the deceased was living in. Apart from Scotland, if the estate is worth no more than £250,000 then the spouse gets everything, but MUST live for 28 days after the first death. Your executors are the people who must tidy up your esatate and distribute it according to your wishes. They do not have to be legally-qualified. Do NOT have your solicitor or accountant as one of your executors. They may make a very convincing argument about how sensible it is. From very painful personal experience I can state that this is a bad idea. It means that solicitor or professional advisor must be involved in the handling of the estate, because you have named them. This could mean higher fees than necessary. Far better is to have other trusted friends or relatives as executors. Tell them by all means get legal help with the job. But get a fee quote from your solicitor, and get a couple of others too. That way you can ensure not too much money goes in fees. Inheritance Tax (IHT) planning can be important, especially if your estate as an individual or a couple exceeds £650,000. However do not let concerns over this tax prevent you from making a will. Get that first one made, even if you later change it when you have someone look at the IHT situation. Make sure your nearest and dearest know where the will is located – the safe of your solicitor is a good idea. Also tell them who your executors will be (though you don’t have to tell everyone that). Why did I say make your solicitor appointment this month? Simples. To avoid further procrastinating. Get on with it. Death is too important to leave to chance! Make that appointment.